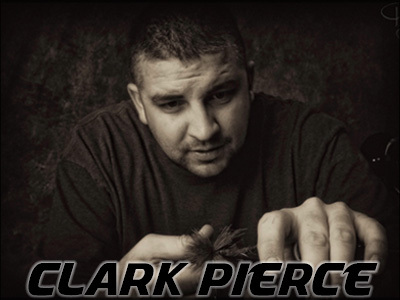 New pro staff addition: Clark "Cheech" Pierce! Clark (Cheech) is a creative fly tyer and angler living in Salt Lake City, Utah. Clark ties custom flies to target all species. However, his passion is throwing big meaty streamers for trout, as well as chasing large- and smallmouth bass. Having grown up in a household where art was strongly encouraged, Clark focused on feathers and fur as a primary medium beginning in 2001. Clark is an innovator and has created popular patterns such as the Cheech Leech, the Grumpy Frumpy, and the Unsinkabeetle. Clark has been featured in This Is Fly magazine and has been published in Southwest Flyfishing. His flies have also been featured in Fly Tyer Magazine and American Angler magazine. Recently, Clark co-founded the website Fly Fish Food with like-minded fly tyer and creator Curtis Fry. Together they create video fly tutorials, review materials and tools, and generally rant about fly tying and fishing.